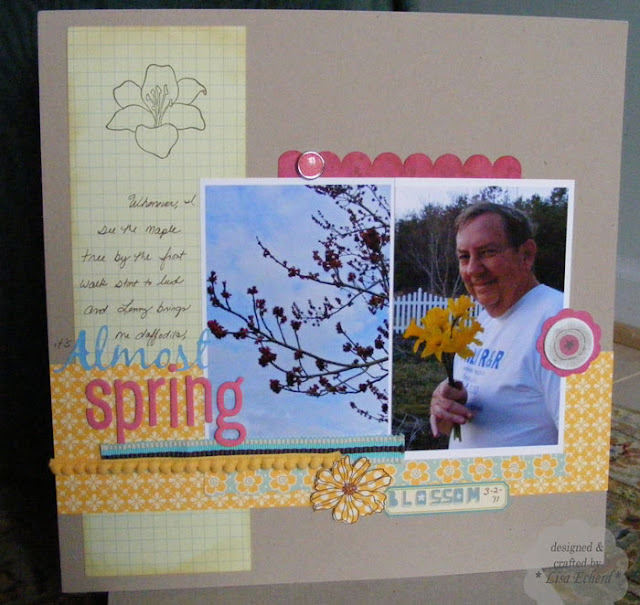 Check out some of the other layouts by clicking here. Also Shimelle is offering an extra opportunity to win a prize by uploading your layout to her blog as well as linking to Two Peas. One project note to create the circular element on the right I use to rub on on a circular piece of chipboard and brushed the edges with white paint. 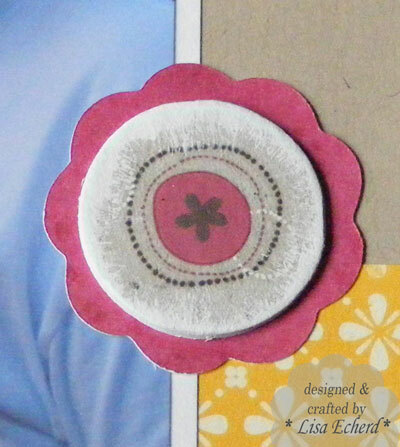 I'm really in love with this little yellow pom pom trim from Stampin' Up! It is available in their winter mini catalog through the end of April. It comes in three colors. Stop by tomorrow for more on the flower accent - another thing I'm in love with at the moment. Hope your week gets off to a good start. 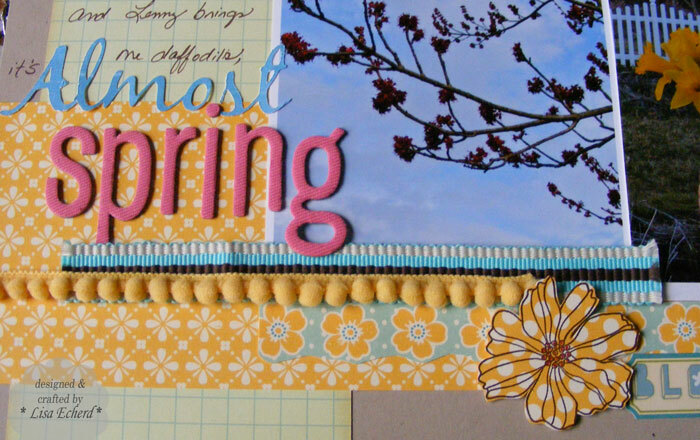 Ribbon: Making Memories Trim: Daffodil Delight pom pom by Stampin' Up! Lovely spring layout and I love the story behind the photo! Great layout! I found myself taking photos this weekend of all the signs of spring around me. I need to create a layout like this. Thanks for the inspiration! Great job on the layout, I love it!